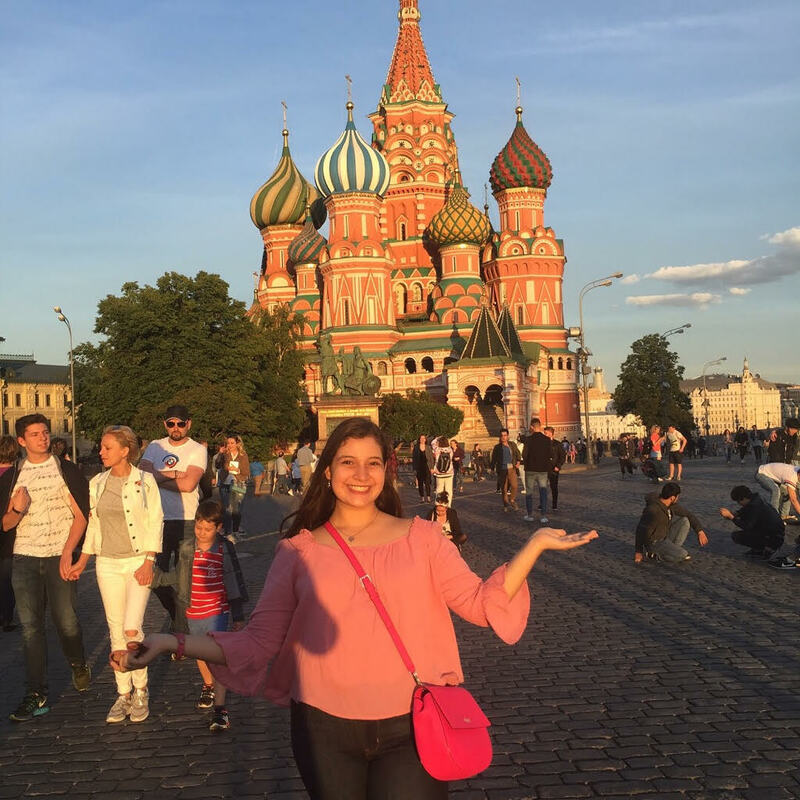 Madison is from Houston, TX and participated in the 2017 Russia summer program. Здравствуйте! Меня зовут Мaдисон Ромо. Прошлым летом я былa в Москве с летней программой NSLIY. Я изучалa русский язык и культуру. Hello, my name is Madison Romo. Last summer, I was in Moscow with the NSLI-Y Summer Program. I studied Russian language and culture. It was truly a life-changing experience! 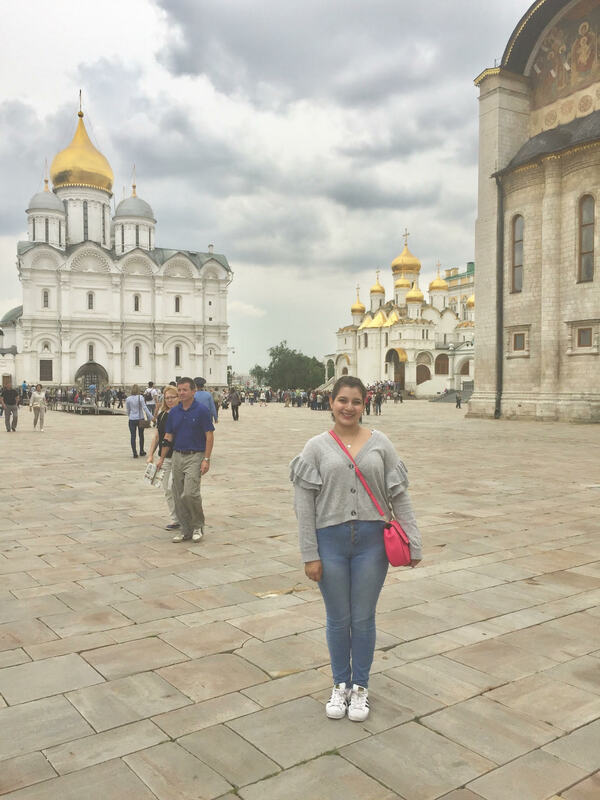 When I traveled to Moscow, Russia this summer, I was not sure what to expect. There were so many new places to see and people to meet. From the time I arrived, I could not wait to take in each part of my host country. From visiting historic sites to spending time with my new local friends, I filled my days with travel. In my hometown, I spend a lot of time traveling. Since I live one hour away from school, I spend two hours in the car each day traveling to and from school. I travel to my extracurricular activities and other obligations all in the car. While this may seem like a small aspect of life, I found that learning how the locals of Moscow travel gave me a new perspective of the city. I soon learned that the traveling I did in Moscow would be even more insightful than the trip from the United States to Russia itself. One of the first tasks that my group did upon arrival was to buy our first metro card! It was exciting but also daunting. As the primary mode of transportation for the vast majority of Houstonians is the car, I had never been tasked with navigating a public transportation system. 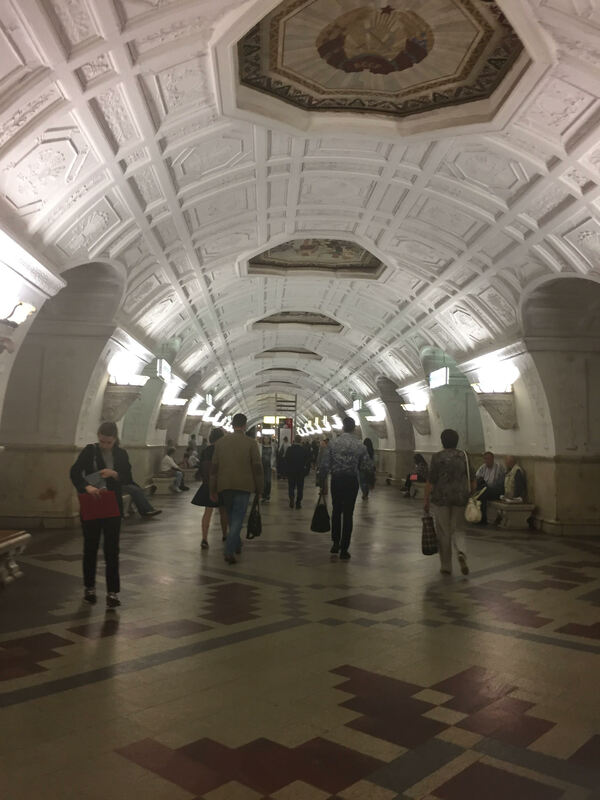 Fortunately, the Moscow Metro was a fantastic transportation system with which to learn. However, it became very clear that the Metro was key to getting around Moscow. Learning the layout of the metro, frequent stops, how to read the map, and which lines went where were just some of the many skills that had to be acquired to travel effectively. At first, our group was nervous about venturing out on our own. We cautiously studied each map and chart before boarding. However, we soon grew more confident in our navigating skills. After two weeks, we had learned the stops we frequently used and even which paths were most efficient. Our home away from home was Фрунзенская, and the best place to change line was often парк культуры. The Охотный Ряд stop is home to the beautiful Крaсная площадь (Red Square) and Tеатральная is home to the gorgeous большой театр. This triumph, although seemingly small, was an important element of our experience in Moscow. We learned how to interact with locals in Moscow and the etiquette that is typically observed in such an environment. We even were able to practice our Russian when reading the signs or listening to the message over the intercom. Plus, the metro is the most beautiful I have ever seen. Each stop is unique with engravings and sculptures. Each stop has its own history. One of my favorite experiences was riding the metro with my host mom, Vera. She had books about the Metro, and we would read the history and significance of the station we were at. I learned that there used to be a market above Арбатская, and I learned the meaning behind many sculptures at Револютции плошад. My favorite is the guard and his сабака (dog). People rub the nose of the dog for good luck. Most importantly, learning to navigate allowed us to experience the beautiful city of Moscow. The metro took us to Red Square to the Old Arbat to cafés and markets. Each of the places I visited only grew my love of my host country, and the experiences from my NSLI-Y study abroad program have changed my life. I learned about the beautiful people, culture, and places in my host country, and I learned that many lessons can be found in small things. I found wonder in the monuments and confidence in my ability to navigate one of the world’s largest cities independently. I hope that other students that participate in NSLI-Y will find the same wonderful experience in the future.